A dream for amateur or young dressage riders ! 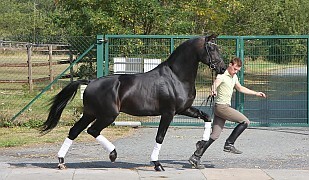 Young Oldenburger stallion 2013 by Belissimo/Dr. Jackson/Fürst Heinirch for Amateur riders looking for typ, movements and phenomenal rideabiltiy Particularly gorgeous stallion out of one of the best Oldenburger dam lines (Elektia line) with all the qualities to be successful in the top amateur or profi sport! This stallion is very flashy with exceptional movements and an alert and confident personality! There is no question, he is going to be noticed, whether it is in the dressage arena ! He also is perfectly suited for the amateur or young rider sport, with a wonderful sweet character and uncomplicated temperament. He has started his training under the rider and shows great working moral. Absolutly clear in the head and uncomplicated by all things. But has had this summer break and was only on the gras field. So price is reduced to 38.000 Euro, because trying him is not possible without training. Also a perfect partner for all days. Loves it to go out side riding. An ideal horse for the discerning amateur rider looking for a great horse to bring along. He has character, a great work-ethic and beautiful, elastic movements! You will fall in love with this charming, sweet boy, who is looking for his very own rider to appreciate his potential! Video shows him by his first out side training last year. His dam line, Elektia line, is one of the most importanst world wide. Grand dam is full sister to starshire Rohdiamant/Royal Diamond (Lisa Wilcox) . 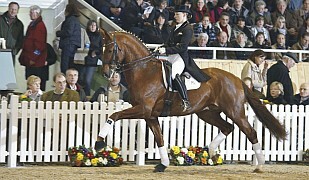 Sire Belissimo achived the highest result in a 30-day test to that date, scoring the perfect 10.0 four times. 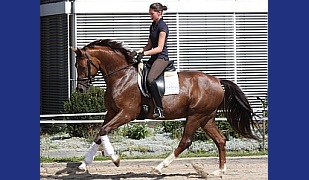 In 2003 he became Bundeschampion of the four-year-old stallions in Warendorf and qualified for the Young Horse World Championships in Verden, where he finished fifth in the final. Belissimo continued his success at the Bundeschampionate second in the final of the six-year-old dressage horses when he bungled one flying change even though he looked far the best horse in the class. Under Australian Hayley Beresford he had a successful career at Grand Prix level, qualifying for the London Olympic Games in 2012. In late 2013 he was retired to stud, now residing with new owners Westfalenhof Stud in Steinhagen. 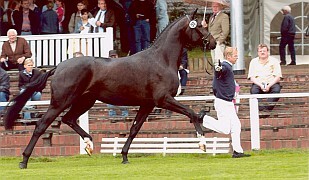 Belissimo has produced over 40 licensed sons, amongst them premium stallions such as Bentley (2008 licensing in Verden). 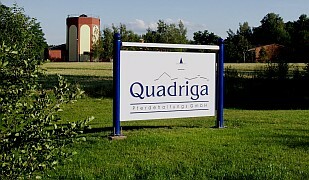 Several of his progeny followed in their father’s footsteps and competed at the Bundeschampionate, for example the 2011 Bundeschampion of the six-year-old dressage horses, Benicio. 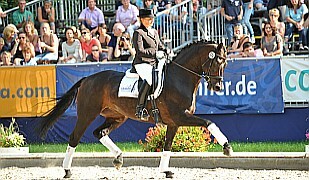 Dr. Jackson under the top 1 % of the german breeding list and one of the index highest sons out of the Donnerhall line. Fürst Heinrich as german horsechampion and world champion . Stallion has clear x-rays and is vetted. Price is reduced in the moment because the stallion is not riden the last month but like his quality on higher level.